For Group or Individual Instruction. Accordion; Method/Instruction. 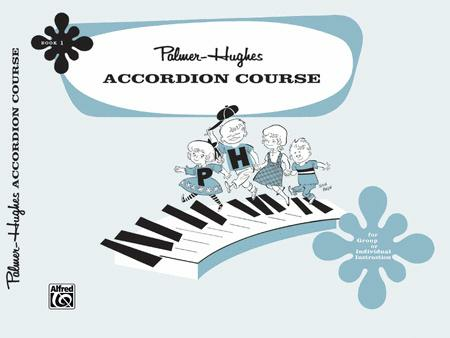 Palmer-Hughes Accordion Course. Learn To Play. Instructional book. With introductory text, instructional text, harmony part, standard notation and lyrics (on most songs). 48 pages. Alfred Music #00-202. Published by Alfred Music (AP.202). ISBN 0739012916. 9x12 inches. English. The Palmer-Hughes series is a comprehensive method of music instruction that enables the beginner to progress to an advanced stage of technical skill. 11 of 24 people found this review helpful. this is a great series of books for anyone who is serious about pursuing music for accordion. Theory is covered and graduated up through the grades. A good investment. 22 of 54 people found this review helpful. Just what I was looking for, and exactly what we needed to learn to play our accordion. 25 of 61 people found this review helpful. June 07, 2007 The BEST Book to learn! bit tattered and torn but well used! I would recommend these to anyone wanting to learn the accordion. 33 of 61 people found this review helpful.